Don’t miss your chance to register for the TreePhilly Yard Tree Program! By pre-registering, you will be able to select from between 8 and 10 trees at each giveaway location, including fruit trees! (Walk-in participants will not be able to get fruit trees). [youtube=http://youtu.be/IwcO-dBHhXs] We will be at the following events giving out trees. Register now because some of the events will fill up! Sat. November 9th Pennypack Environmental Center (8600 Verree Rd. 19115) 10am-12pm, 12-2pm, 2-4pm time slots Sun. November 10th Columbus Square Playground (1200 Wharton St. 19147) 11am-1pm Sat. November 16th Overington Park (4600 Leiper St. 19124) 11am-1pm Sun. 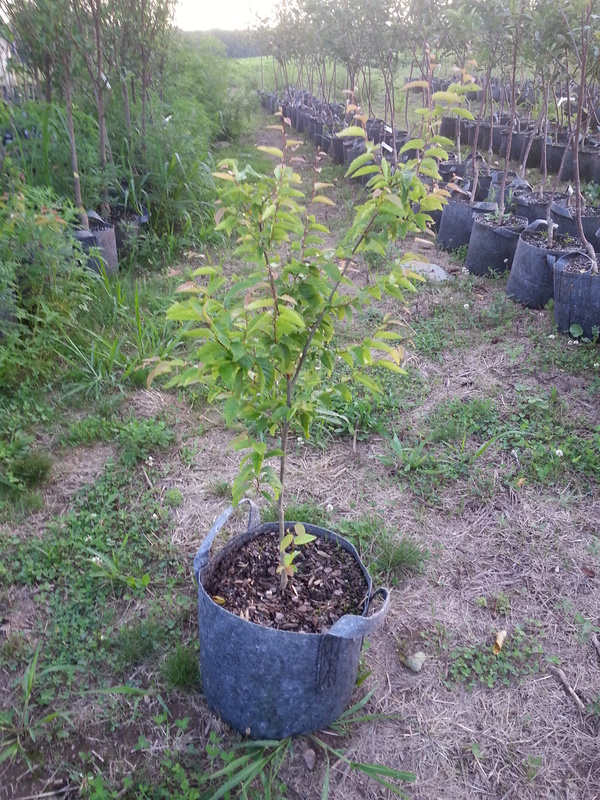 November 17th West Oak Lane Library (2000 Washington Lane 19138) 12-2pm An American Hornbeam tree at the nursery, waiting for the tree giveaway events in November!